Questyle Audio’s outstanding "Current Mode Amplification" technology provides the airiness and musicality of a tube amp while maintaining the speed and accuracy of transistors. What is Current Mode Amplification? In current mode amplification, the signal is amplified by modulating current instead of voltage. This is widely applied in the high-speed communication industry and the video processing industry, but it is Questyle Audio’s patented technology that is applied to headphone amplifiers. Why Questyle choose Current Mode Amplification? Low distortion and wide bandwidth are the goals of all high performance amplifiers. 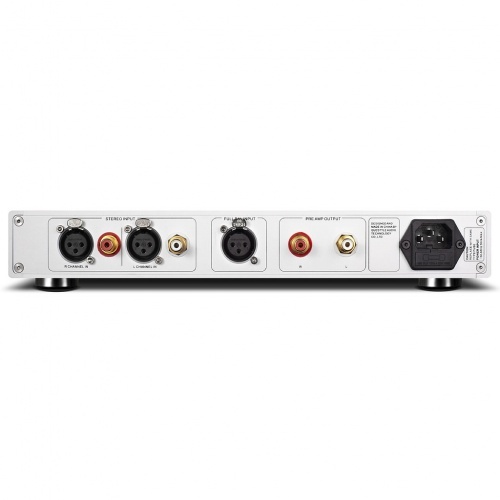 Only with ultra wide bandwidth and high speed processing can an amplifier process sudden pulse wave signals and achieve wonderfully realistic playback of the music signal with speed and transparency. To achieve this Questyle Audio abandoned the traditional voltage mode format and developed “Current Mode” amplification. When the component is working in “Current Mode”, the amplifier Slew Rate (SR) achieves a linear increase as input signal amplitude increases, in direct proportion to the input signal amplitude. When receiving a high amplitude signal, a “Current Mode” amplifier’s SR is much faster than traditional voltage mode devices, totally eliminating TIMD and ensuring a high amplitude signal, with an extremely wide linear bandwidth and an almost distortion free realistic playback. 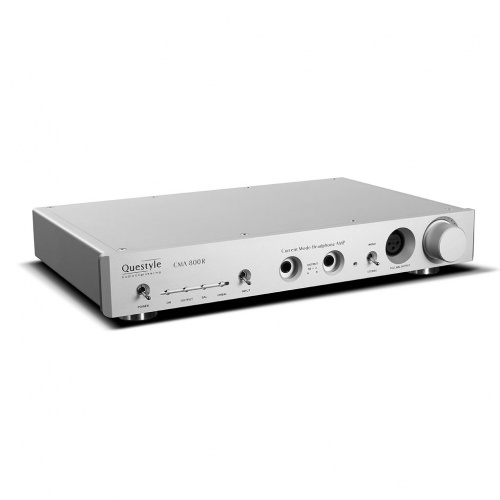 To maximise accuracy, current capability, and consistency, Questyle Audio’s “Current Mode” amplifier employs all discrete componentry, in a Class A configuration. To insure maximum compatibility with source units and speakers (headphones), input and output both work in voltage mode. From the diagram we can see, input signal will travel first to VCCS, voltage mode is converted to current mode here, then it goes to Ai for amplification (in current mode), next it goes to I/V converter to become voltage mode again, and then is output to OPT stage to drive headphones. 10mm thick aluminium cover and bottom chassis The Questyle Audio CMA800R’s aluminium chassis is produced by Foxconn, using precise CNC tooling machines. The upper cover and bottom chassis “mutual bit” structural design, provides the Questyle Audio CMA800R with stable heat, excellent control of sympathetic vibration and excellent shielding from RFI/EMI radiation. 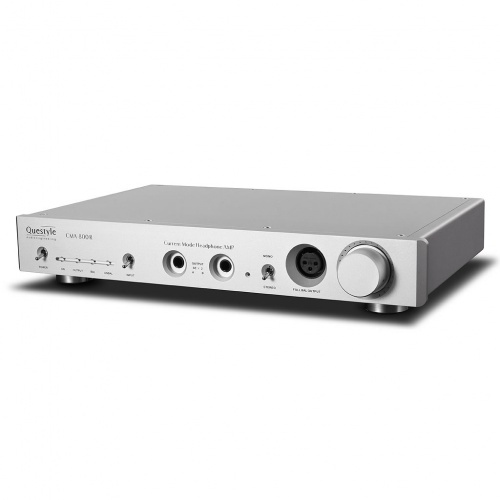 The Questyle Audio CMA800R is the world’s first headphone amplifier to offer mono full balanced output. To create a proper balanced output, a stereo amp is required for each channel. Rather than compromise by using a transformer or resistors, Questyle takes advantage of this by allowing you to switch two Questyle Audio CMA800Rs into “Mono” mode, putting each one into a “Mono Full Balanced” configuration, effectively bridging them in a “Dual Mono” set up. 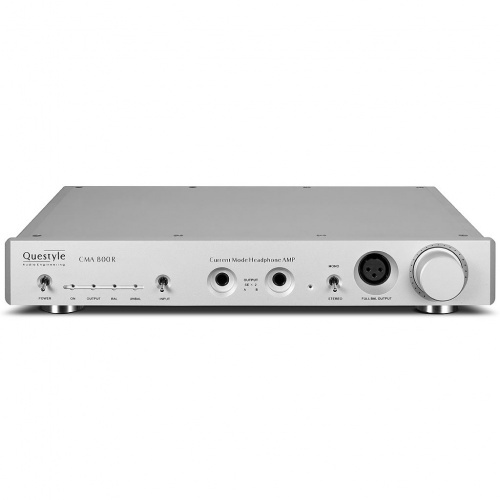 The output power is four times that of a single Questyle Audio CMA800R, separately driving the left and right channels, with an ultra-low 0.00038% distortion, and unparalleled channel separation, able to drive high impedance and low sensitivity headphones deeply, improving resolution and dynamics. In this Dual Mono configuration, each channel’s power supply and amplification are independent, providing first class driving power, which is especially outstanding in driving difficult headphones or headphones which lack in sound field or separation.